Tankless water heater technology has become increasingly popular for today’s homeowners. In comparison to a conventional hot water heater, which uses energy throughout every hour of the day and night, a tankless water heater is much more efficient. With services from a plumber who installs tankless water heaters near Jacksonville , you can rest assured that your new unit is designed to provide you with the best efficiency and performance. 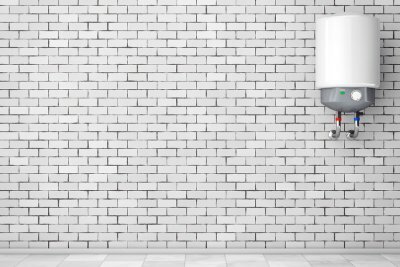 To help you determine whether you are ready to make the switch from a regular water heater, here are some factors that can help you decide whether a tankless water heater will be right for your home. If your current water heater seems to constantly run out of hot water when it is least convenient, this is a sign that you may be ready for a tankless installation. A tankless water heater creates hot water as it is needed, so you can rest assured that your plumbing system will never run cold. When you find yourself struggling to pay your hot water bill every month, this may indicate that you do not have the best system for your home. With a new, tankless water heater installation, you can dramatically cut back on your hot water bills. Since a tankless water heater shuts off when it is not in use, it will be able to conserve energy on a daily basis. A common problem with conventional, tank-style water heaters is that they require large amounts of storage space. If you live in a smaller home or apartment, and you find that you need more space in your closets or other storage areas, now is the time to make the switch to a tankless system. With a tankless water heater, you can free up tons of storage space in your home, without having to sacrifice the performance of your water heater. Before you embark on a kitchen remodeling project, it is important to research the do’s and don’ts of kitchen renovations. In this video from Consumer Reports, you will hear some real testimonies from homeowners who have regrets about their kitchen remodel projects. A professional kitchen remodeler serving Jacksonville can help you make savvy decisions about the layout and finishes throughout your kitchen. If you have decided that you are ready for a quality kitchen renovation for your home, now is the time to get in touch with your plumber. Along with providing you with sewer line installation and other plumbing services, your technician can also assist you with every step of your kitchen remodel. Tank vs. Tankless Water Heaters: Which Is Right for You? Everybody needs a water heater, but now you get to choose between tank and tankless kinds. Although both types can do an adequate job of heating up your water, you’ll need to pick one. 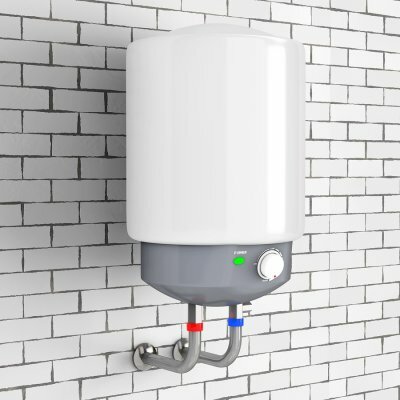 A tankless water heater in Jacksonville tends to be smaller, more efficient, and less prone to water damage than a traditional hot water heater, and these factors tend to sway customers in their direction. If you are still debating between tank and tankless water heaters, read ahead and find out which one is right for your house. If you don’t have a great deal of space to work with in your home, you might have limited options in terms of hot water heaters. One of the primary advantages of tankless water heaters is that they take up a fraction of the space that a conventional water heater does. Since traditional hot water heaters need the space to accommodate their large tanks, they’re not always the best fit for smaller living spaces. Tankless water heaters can be installed in cabinets and on walls, staying out of the way and letting you maximize your space. When you have a large container of hot water that isn’t being used, much of the heat will escape into the atmosphere. This is called standby heat loss. Hot water heaters were vulnerable to this kind of heat loss for a long time, but tankless water heaters can address this fallback. Modern units heat your water when you need it, not beforehand. This means that you won’t have a basin of water that needs constant heating, even when it’s not in use. Your tankless water heater will benefit from much greater efficiency thanks to this lack of heat loss. Since traditional hot water heaters have tanks and tankless units don’t, traditional units are more prone to leaks. These leaks can lead to water damage in the home, which can in turn contribute to quite a few additional problems. Tankless water heaters don’t present this same kind of hazard, so many people consider them the safer option. 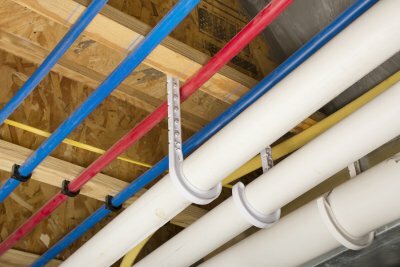 A new drain line installation in Jacksonville should last you a long time, as long as you use your plumbing systems the right way. If you’re not sure what shouldn’t go down the toilet or sink, it’s best to find out before you have to call your plumber for toilet repair. Try to avoid creating clogs in your drain lines, deal with the trees in your yard, and call your plumber for regular plumbing inspections. Continue on to pick up a few tips on how you can avoid drain line problems. People call their plumbers because of drain line issues every day, but they are often preventable. If you experience a clog, there’s no need to call your plumber for toilet repair until you’ve tried using a plunger or auger yourself. The good news is that it’s easy to avoid clogs. Just make sure you don’t try to flush too much down your toilet, and make sure your family does the same. You should also let everyone know what should and should not go into the sink and garbage disposal. Keep coffee grinds, seeds, and large leftovers out of the disposal to avoid clogs and keep your drain line in shape. If you can’t get your toilet to flush but it also doesn’t seem clogged, toilet repair might not be the answer. Waste travels from your home to a municipal system or septic tank using your drain lines, but sometimes there are obstacles. Trees can be particularly problematic for your drain lines. Since trees use their roots to search for water in order to grow, they often find their way into your drain lines. Talk to your plumber or landscaping professional to make sure your trees aren’t disturbing your drain lines. The more often your plumber inspects your systems, the healthier they will stay. You might not notice a small problem sign, but your plumber probably will. During the inspection, you can discuss what to do about the small issue so that it doesn’t compromise your plumbing system and require significant repairs.